For many people Earth Day is a chance to think about what being mindful of the how the things that they do impacts the Earth as well as giving them a chance to try and lessen their impact on the environment. During this time several organizations and government agencies promote events around Earth Day, including right here Prairie State College, where during the month of April, you can always find a Sustainability Event to attend. But this begs the question … How Did Earth Day Start? 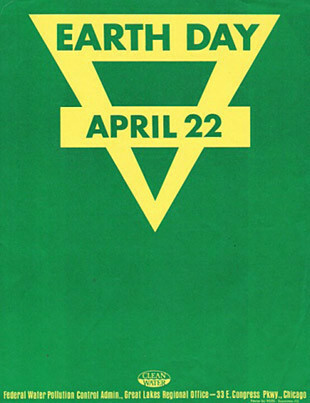 Although Earth Day has an actual origin date (April 22, 1970), several contributing factors led to its actual start. In the 1960s, technology in the United States had increased the amount of media coverage which the average citizen had access to. Because of this, events such as the Santa Barbara Oil Spill and the Cuyahoga River Blaze now became visible and the human impact on the environment could be easily seen by any person. Also by the 1970s, activists such as Rachel Carson had published her landmark book Silent Spring and Secretary of Interior Stewart Udall had published The Quiet Crisis. Additionally, by this time Congress had enacted the Outdoor Recreation Resources Review Commission and President Kennedy had taken his Natural Resources Tour. So, rather than a starting point of an the environmental movement in the United States, the beginnings of Earth Day represented the moment in time when environmentalism entered the mainstream. The actual celebration of Earth Day began with Senator Gaylord Nelson (D-Wi) who, inspired by the anti-Vietnam demonstrations and “teach-ins” decided that it would beneficial to the public to set a large-scale teach-in to educate the general public about the importance of environmental issues. He chose the date, April 22nd, to coincide with Arbor Day, and so that it would not interfere with Finals Week at college campuses. Although the day was set up by Nelson along with Republican Representative Paul McCloskey, it was really the efforts of Denis Hayes, an environmentalist student who together with the group Environmental Action worked, to coordinate the day. During the first Earth Day, nearly two thousand colleges and universities, ten thousand high schools, and grade school and several thousand communities participated. The estimated total number of Americans that were actively engaged in the day ranged in the 20 millions. Throughout cities such as New York, San Fransisco and Chicago, large crowds gathered to hear speeches from politicians, poets and ecologists. Students in Washington D.C. attended a concert held in front of the Washington Monument. Colleges and Universities held programs such as “wreck-ins” or tree planting. The University of Wisconsin, alone, held fifty-eight separate programs for the event and Senator Thomas McIntrye (D-NH) set the record for most speeches given in a day with 14. Since the 1970s, the celebration of Earth Day has embedded and flowed, depending on the administration in power. But as you sit back on the 45th anniversary of its beginning, think about what the importance of the day means to yourself, and how you can better help the only planet we have. With that in mind, stop down at the library this month and check out some of these great titles we have on display. It’s cold in Chicago Heights, really cold. So… on a cold blustery day, where would you rather be? If you pictured the ideal place to zap yourself to, anywhere in the world, where would you go? This is where I would go. So, for now I’m scouring the Prairie State College Library for books to help me out with my dreams and endeavors and practicing what I can in my little apartment covered in snow. How about you? For books on homesteading topics, check these out! 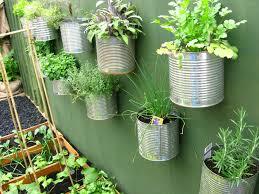 Growing your own food and ornamentals contributes to sustainable living. Consider using a rain barrel to conserve water. The following selected titles are available in the Library. Think Green. Go Green. Green Economy. Green Energy. Green. Green. Green. These days it seems like you can view any subject through green-tinted glasses. But like so many other cultural phenomena that lose their sparkle from overuse, “thinking green” comes dangerously close to being a fad that we will all laugh about in twenty years along with Crocs, awareness bracelets and The Macarena. The danger of course is that trivializing something as important as thinking green — a genuine desire to collectively adopt radical changes in our outlook and lifestyle in order to promote sustainable living — cannot be abandoned for a return to our short-sighted views of the past. The current popularity of this concept is also evident in the frequent instances of “greenwashing”, whereby industries, companies or people deceptively present themselves as environmentally-friendly in one respect, while masking other, less favorable positions or actions. Between the hype and the deception it may seem easier to just do nothing, not stand up for anything. The answer instead may be to focus more closely on the small changes that you can make in your daily life. An excellent way to set this course of action is to read up on green initiatives related to a topic that already interests you. The Library is currently featuring a fascinating collection of books on how green thinking is being applied across many disciplines. Check out interesting reads on medicine, beauty, careers, spirituality, energy, architecture, and more. Exploring the green perspective on a subject you already know and care about is a great way to expand your knowledge base. Earth Day, April 22nd, is a great time to step up your commitment to sustainability. PSC will be hosting a number of events on campus during an Earth Week Celebration (April 22-27) where you can kickstart your green thinking. Just don’t overdo it.